Grand Theft Auto: San Andreas Released for Android! The wait is over guys! 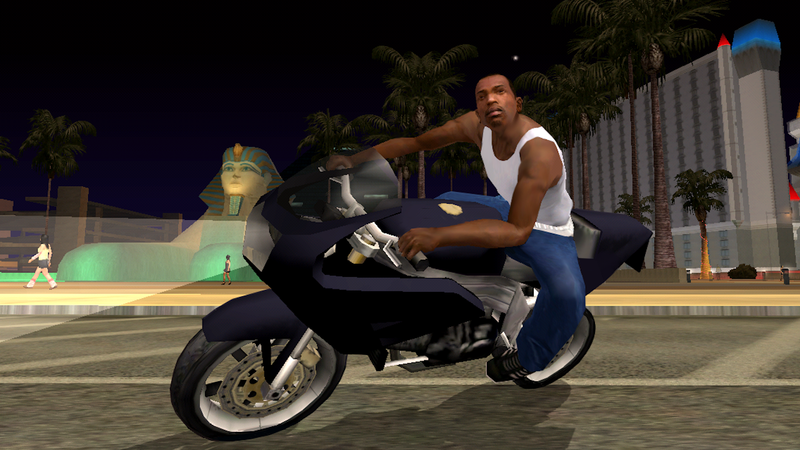 Grand Theft Auto: San Andreas is also available on Android now. The Rockstar Games released the game on iOS first and announced that they will release it for Android OS too. Windows OS has also got Grand Theft Auto: San Andreas but today, we'll focus on the game on Android. The game is actually very heavy and more than 50% devices won't be able to play the game. The earlier version of Grand Theft Auto [Vice City] was released back in 2013 and became much popular. The users reported too many issues in that games like- frequent lags and all, and RockStar has said that the game should be running on all mid to high range devices, but they failed to do this again too! The game is not working on Nexus 4 and other High-End devices, I don't know whats the reason. Rockstar games announced that they'll release the game after a month or some months but they gave us a surprise by releasing the game yesterday. When the game was released, the minimum Android requirement was Android 2.3 GingerBread but now it has been changed to Android 3.0 Honeycomb. However, the game is still working on some GingerBread devices. We all have played this game on our PCs and have enjoyed a lot with it. The graphics, the performance etc. But now the next 2 variants of GTA has came Grand Theft Auto: 4 and Grand Theft Auto: 5 respectively. Both the games are too big and cannot be run on old devices so I don't think any Grand Theft Auto: 4 or Grand Theft Auto: 5 for Android (iOS may recieve it). Anyway, old is gold. Rockstar has said that the game is Remastered, high-resolution graphics built specifically for mobile including lighting enhancements, an enriched color palette and improved character models. Thanks RockStar games for this information. Grand Theft Auto: San Andreas was running on XOLO Q700. Grand Theft Auto: San Andreas was lagging on Samsung Galaxy Tab 2 (a bit). Grand Theft Auto: San Andreas was lagging on XOLO A700. Grand Theft Auto: San Andreas was not lagging on Microamx A250 Canvas Turbo. 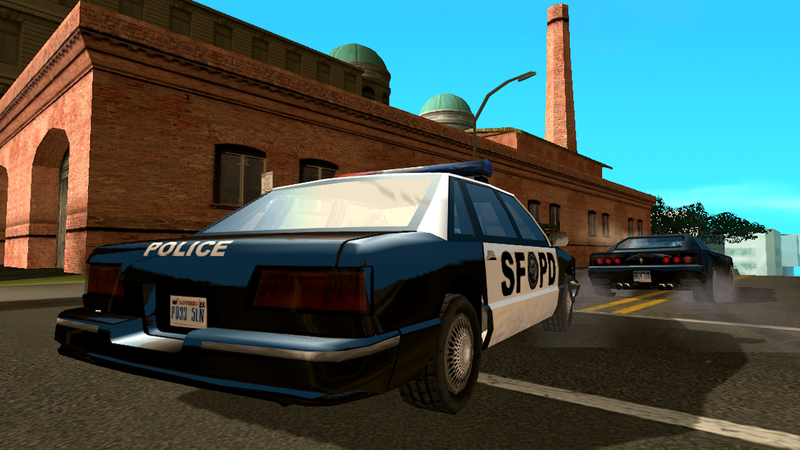 Grand Theft Auto: San Andreas was not lagging on Samsung Galaxy S4. 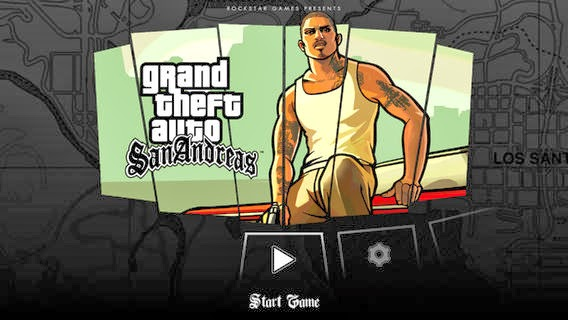 Grand Theft Auto: San Andreas was lagging on Samsung Galaxy S3. So you see that the game requires devices with good specifications? The game was released in Play Store last night at 6.30$ and on Play Store, it was released at 6.99$. You can grab this game easily on Google Play Store with just Rupees/Dollarss 392.05 Rs/6.30$. Hope you liked these High-Defination pictures and you are interested in buying the game. Thanks to Google Play Store for these HD pictures of this amusement. Share it with your friends and comment here if you like the surprise by Rockstar games.